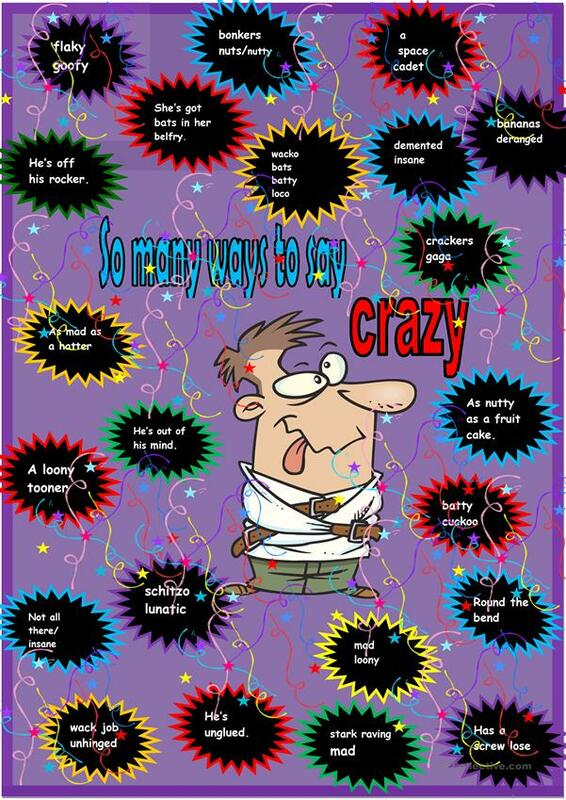 A poster that illustrates many of the ways to call someone crazy. There are an endless number of idioms and expressions for this word. Students enjoy learning fun vocabulary. Poster can be printed and hung in the classroom. The present printable, downloadable handout was created for high school students, elementary school students and adults at Pre-intermediate (A2) and Intermediate (B1) level. It is great for practising Adjectives in English, and was designed for strengthening your pupils' Reading skills. It focuses on the theme of Describing people, Feelings, emotions, Humor, Idioms and Learning languages. The exercises come with the solutions.